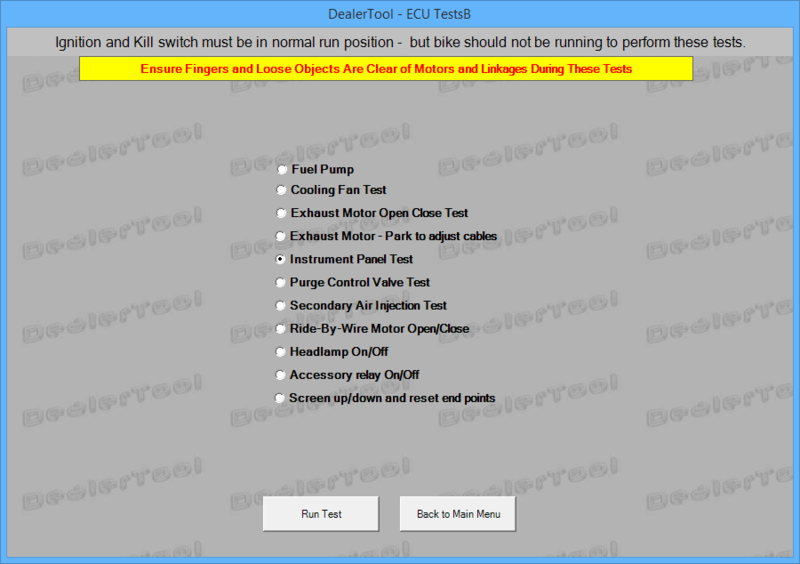 The nice thing about Harley-Davidson motorcycles is that they come with an on-board diagnostics system built right into the dashboard of the motorcycle. While riding if the check engine light comes on you can stop the motorcycle, run the diagnostics routine and cross check the error codes with the workshop manual to figure out whether its safe to continue riding or call road side assistance to trailer your motorcycle to the nearest authorized service station. I have saved the service manuals of my motorcycles in PDF form on my mobile phone so I can quickly refer to them instead of looking up the error code on Google as I may not have internet access while on the road. I used this feature twice while riding my Fat Boy around the Golden Quadrilateral in Feb 2015. The first time the error code told me that the tail light brake switch was staying continuously on indicating a problem with the brake light switch. The second time the error indicated that the odometer was learned up and a possible cause was that the battery terminals were loose. Common sense told me that both problems didn’t warrant me ending my ride and calling the RSA helpline to get my motorcycle trailered to a service station. So I continued my ride in peace and got those these issues sorted out when I reached Kolkata. If there was no way of figuring out the error codes I would have had to risk riding the motorcycle and causing more damage if there was indeed a serious problem or do what the manual says – stop riding and get the motorcycle to a service station. 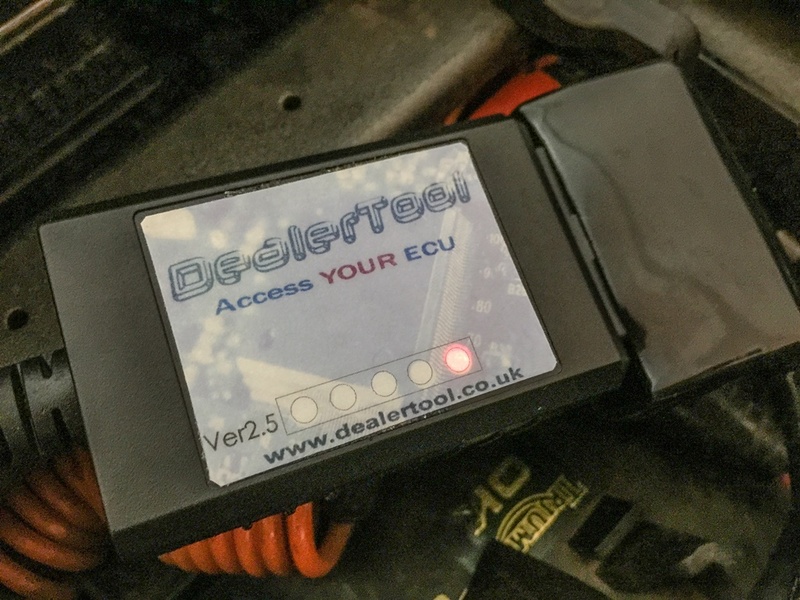 Even if automotive manufacturers don’t build on board diagnostics directly into their vehicles, you can buy a cheap OBD (On Board Diagnostics) scanner and use a mobile app to communicate with it wirelessly to get at the error codes. This was possible with the 2014 Triumph Tigers. 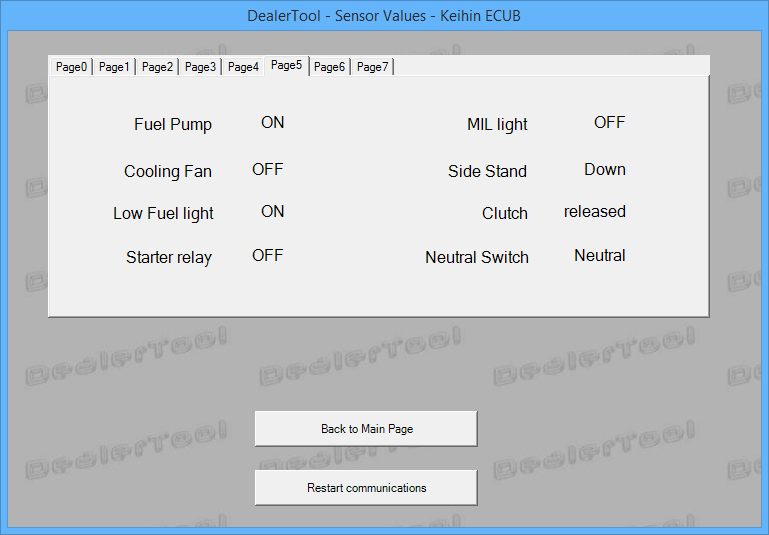 However, in the 2015-2016 models Triumph revamped the electronics and removed the ability to talk to generic OBD scanners. I tried a couple of scanners but didn’t meet with success. 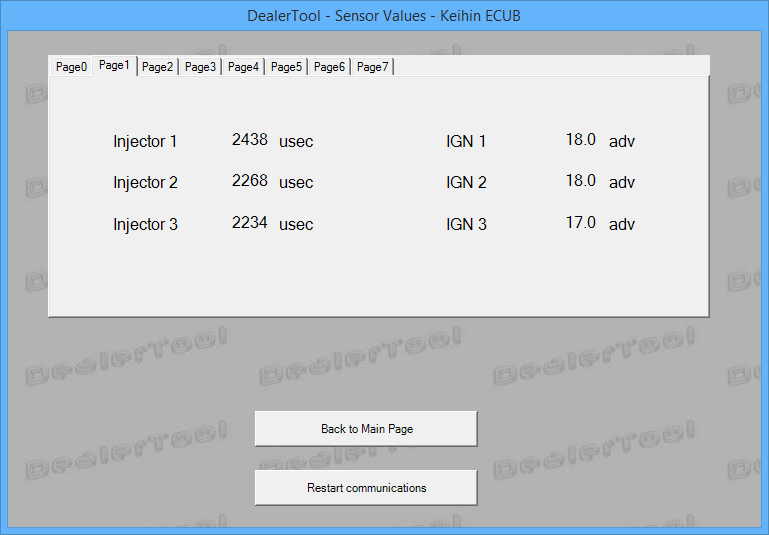 Searching for solutions online, I came across DealerTool, a company in the UK that offered a solution to this problem. 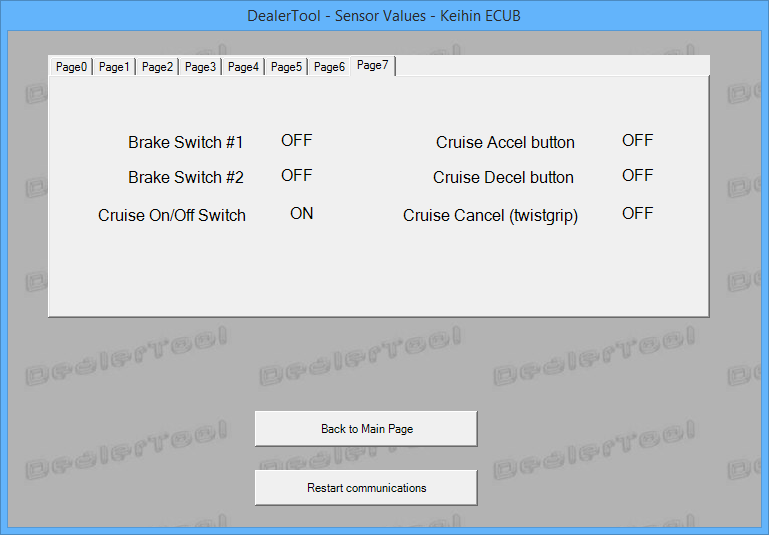 They offer a custom OBD scanner and a Windows application that talks to it. I gave the product a try and it works great. 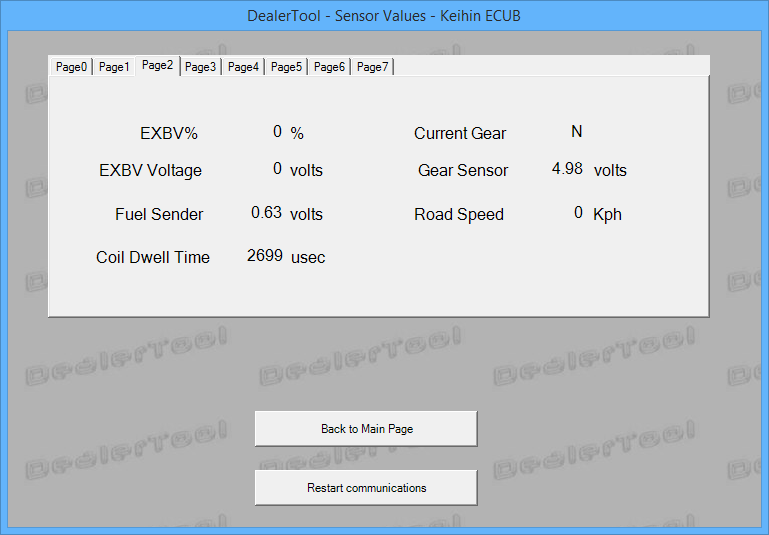 The important thing about this product is that it offers read-only access to your ECU. This means you can’t do stuff like reprogramming your ECU and potentially brick your motorcycle in the bargain or compromise your warranty. The product is designed for people like me who simply want to check the error codes in order to figure out whether they can continue riding or call for help, that’s all. 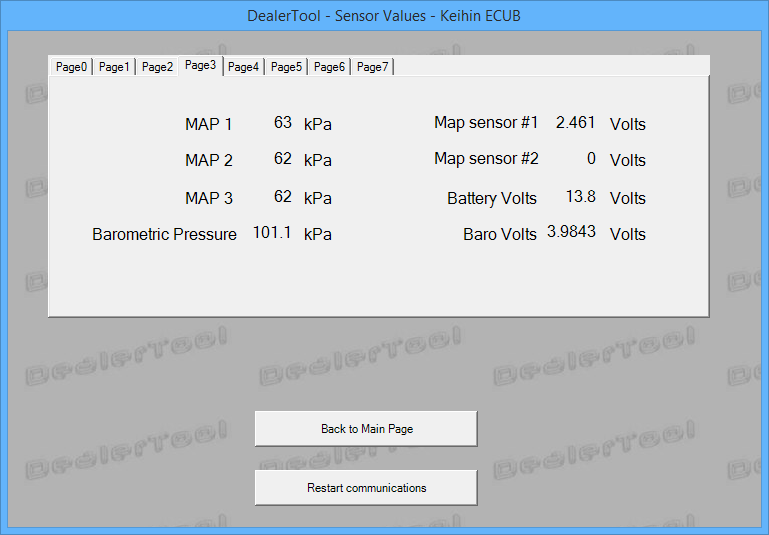 The product is priced at GBP 59.99 and comes with (1) OBD scanner that goes into the USB port of your computer, (2) a software CD containing the DealerTool software and necessary device drivers, and (3) the ability to get a software key to connect to one motorcycle. Software keys for additional motorcycles cost GBP 24.99 each. 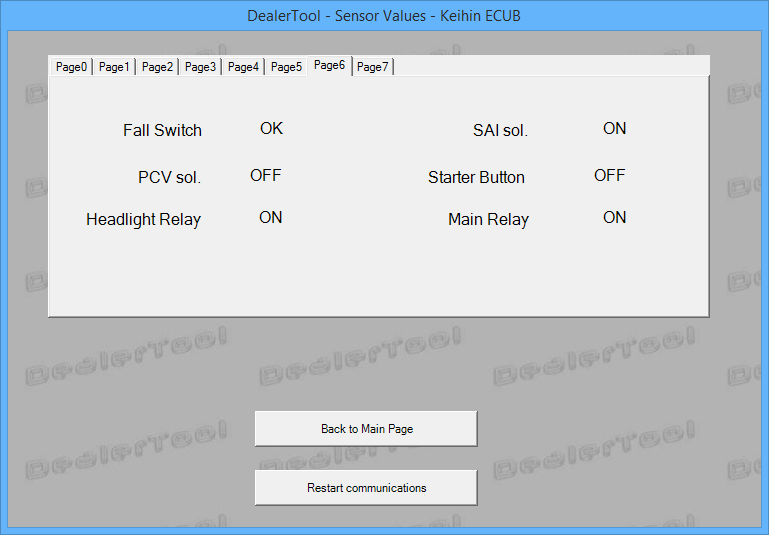 Apart from checking and clearing error codes, the DealerTool software also comes with the ability to run a bunch of tests. These tests don’t require you to keep your engine running. 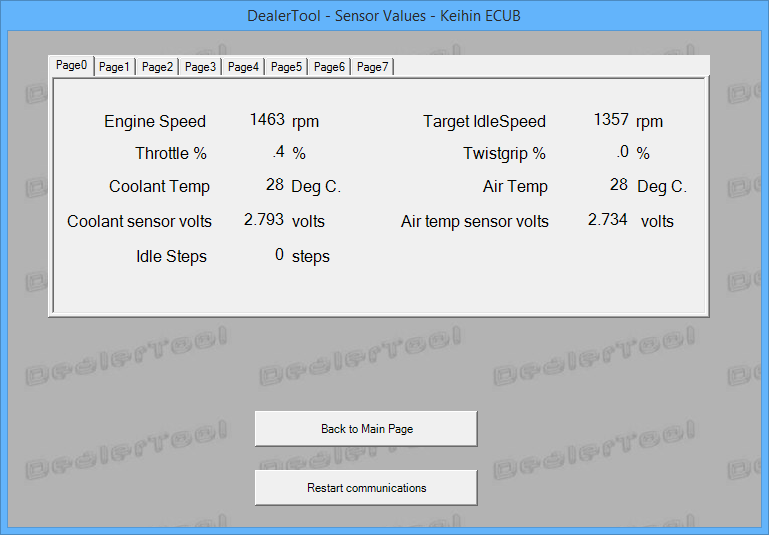 You can also start your engine and monitor various parameter values and check the working of various sensors. 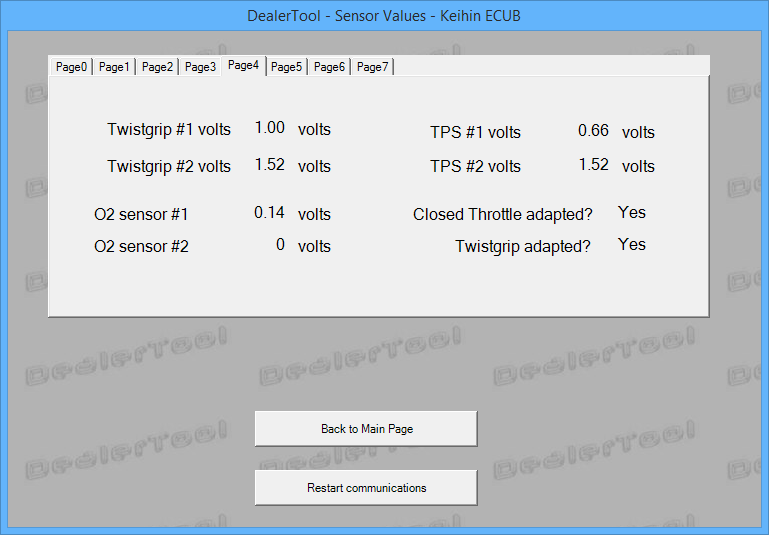 DealerTool does exactly what I need. I only wish they develop a mobile app that communicates wirelessly so that there wont be a need to lug my laptop around on long trips.